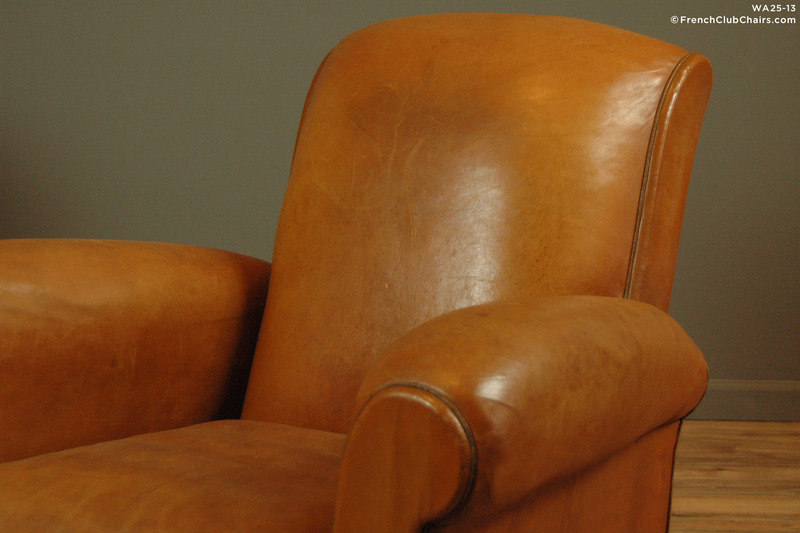 Fantastic pair of all original French Leather Club Chairs. We call this style slopeback due to the gentle roll then pinch that characterizes their style. This pair features a sweet light havane colored leather which means that they have never been darkened to cover flaws or repairs. The have a medium depth and a med/firm seat, quite comfortable. These were sourced from a private hoem in the near the beautiful city of Chartres. measurements: depth-35", width-36", height-34", seat depth-21", seat width-19", seat height-16"